Post-it Labeling and Cover-Up Tape is ideal for covering up unwanted text on and covering mistakes before photocopying. Tape will not leave photocopy shadows. Opaque tape removes quickly and easily so you don't have to destroy your original. 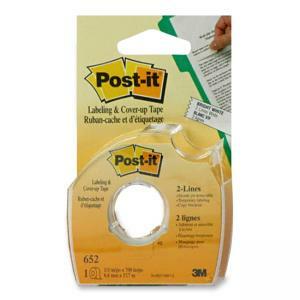 Also great for labeling binders, CDs, folders, pictures and more.